Breathtaking. February was indeed a month where cupid played games on Delhi’s political terra firma. Wonder why the media couldn’t predict Delhi’s affair with the Mufflerman. But the media is always right, always number one, and always sabse tez. They aren’t answerable to anyone. So, what really happened? More importantly, why did the politically aware Delhi-ite fall for the fish rather than the fishing rod? Given that we are wiser after an election, fingers are being pointed at Modi’s vanity, Bedi’s senility, Kejriwal’s humility, Sonia’s divinity, Rahul’s naivety, Sadhvi’s crudity and Amit Shah’s obesity. Well, only for the lack of another rhyming word. According to unreliable sources, here are a few lessons in wooing the voter. Whether it was cute Raghav Chadha, polite Yogendra Yadav or oh-sho sweet Atishi Marlena, television viewers loved the breath of fresh air after tolerating fetid fumes emanating from conceited spokespersons. It is now amusing to watch BJP and Congress spokespersons dressed in a cloak of humility, addressing each other as ‘my respected opponent'. All because arrogance led to the fall of Humpty Dumpty. From what the sources reveal, Congress is in talks with Alia Bhatt to up the cute quotient on television debates. Of course, these lessons in humility and cuteness are not for the soft spoken Derek O’Brien or his affable leader. 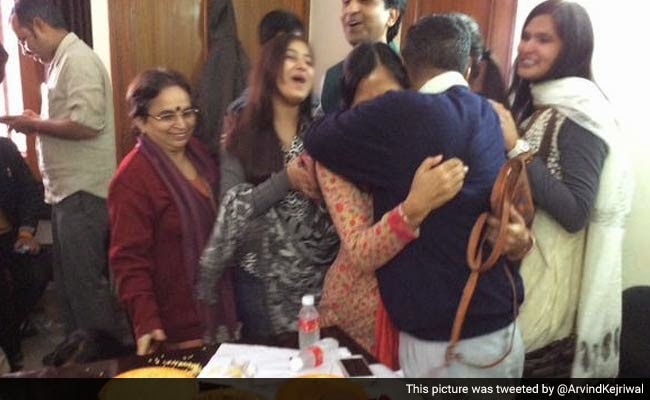 One of the abiding images in the aftermath of the unprecedented win was the picture where Arvind was seen hugging his wife. When he embraced his demure wife in a fit of joy, it made for poignant viewing. The entire social media went ‘Awww’. Ever since, politicians are being asked to hold hands of their spouses, caress their hair, or play with kids to create an image of a caring leader. By any measure, this is not to say that future CMs should be seen locking lips in public. Err, no. That would be a bit too much for our sanskriti to swallow. Quick to course correct, Modi ji was seen playing with Mulayam’s grandson at a family wedding. So much for image building. Or the budget session. Whatever. Our IIT-ian made sure that he wore only two sweaters – wine red and navy blue. Consequently, some politicians have decided to wear only two outfits during the election season. Poor guys, they don’t know that Arvind owns a dozen similar looking red and blue sweaters. This was a well guarded secret known only to Shazia Filmi. However, puncturing this theory, an analyst from West Bengal has warned that the positive political dividends of crumpled clothes and bathroom slippers are ephemeral. They should not be seen in isolation. It was funny when Mr. Unaccounted Money Bags asked AAP about that hundred rupee note. Just as it was hilarious when the Congress questioned Modi about his suit. What is it that they say about glass houses and throwing stones? The rules of the game have changed. After our Kaushambi boy made a strong pitch against Lal Batti, some politicians have decided to attend a rehab centre to learn to give up the red light and other privileges. There are talks of replacing luxury cars with rickety Wagon Rs to strike the right notes. Won’t be difficult because who wants a Lal Batti on a Wagon R? Politicians are God’s gift to mankind. But unlike our Tamil counterparts, Delhi-ites, it seems are repulsed by full page advertisement displaying a politician’s picture. No, thank you. We’d rather drool over pictures of a filmy award ceremony. That Delhi belongs to Dil-wallas was obvious when they forgave Arvind for all his bumbling. Recognizing the power of humility and apology, Nitish Kumar began on the right note when he thanked all those present at his swearing-in ceremony. The good learner that he is, he is now ready to hug his alleged communal tormentor. 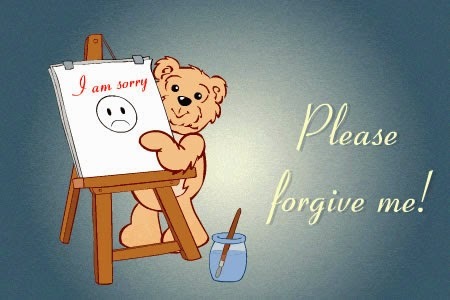 Unreliable ssources reveal that Ajay Maken has ordered loads of ‘I’m Sorry’ cards to be hand delivered personally with the message, ‘Sincere apologies from a very small man’. A week, they say is a long time in politics. Even as I write, AAPs credibility is at stake owing to one mans egocentricity. Who said it is easy to wear a cap of humility in unstable polity. The cap either doesn’t fit or keeps falling unceremoniously. Such is reality. That sums up the Delhi elections perfectly! We all love the muffler-man, don't we? I am hopeful for a positive change this time. I hope his cap of humility stays and forces his arrogant peers to toe the line. Thank you sweetie for stopping by. Thank you for getting the right essence of this post. Sometimes, wit laced with sarcasm gets caught in righteous logic. Than God AK is more like us commoners. But i could not help noticing that his topi and muffler were discarded right after the results came out-weather?Or something else? Indu, it has become warm in Delhi. His blue sweater stays though. Muffler gone, time for Bata Sandals. Even before the deeds of February are put to rest as we approach the (h)ides of march, speculations, accusations and blame game on and of the 10 day government and its success (free WiFi and stuff) are gaining more air coverage while my lonesome WiFi connection at home continues to suffer. With WiFi added as the bottommost layer to the Maslow's pyramid of needs, I think I'm going to decide the next candidate's future on the quality of internet bandwidth they can provide. Meanwhile, it will be interesting to see how the 'expecting' government fares, and how many dharnas we see in the forthcoming years. Yes, their success in Punjab depends on how they perform in Delhi. WiFi is going to be a slippery slope....let's see. Also blame BJP's intense negative campaigning reeking of desperation. But have to admit, AAP's windfall of 67 seats took everyone by surprise. Never underestimate the power of common man and his muffler, I say! Really enjoyed reading your commentary, Alka. Yes, those paanch sawaal Kejriwal backfired. Glad you liked it Purba, means a lot. The Delhi Election results were really something.. Let's see how common this common man really is.. Totally unexpected results, yes. Glad you enjoyed reading it. This was so much fun. A great recap showing us the behind-the-scenes thoughts on politicians' behavior. So, humility is in fashion now? "Modi’s vanity, Bedi’s senility, Kejriwal’s humility, Sonia’s divinity, Rahul’s naivety, Sadhvi’s crudity and Amit Shah’s obesity." - Excellent! Loved the controlled tone of this satire. A straight-faced one! It had all the chances of falling flat and exposing my stupidity! So good to see you here Sakshi. I am smiling like a smitten teen Beloo. Hupty dumpty of the politics had a great fall in Delhi elections! Serves them right! Flawlessly described , Alka! Amit Shah's obesity........... and the downfall must have trimmed his extra flab. Delhites recognised the need of muffler and muffler-man. Hope he does not let them down this time. Thank you for the share Kalpana.If he squanders this opportunity,, it will not be easy to woo Delhi again. Punjab will fail to fall for their charms too. Let's see, yes. The AAP sweep was a surprise for most of us. Very well said. Humility is the escalator for reaching the pinnacle of success in life. This is one election which was fought by media for a party supported by big boys and allegedly some countries/organisation from across the border. Good one Alka ! Now, it's a question of wait and watch. I wonder how the whole subsidy business will affect the economy because, populist measures were never much good in the long run. We didnt have to wait for long, did we? Wonder how I missed the post. Very well written, Alka. As most of the others have said, I suppose it is going to be a period of wait and watch. Just read an article which said that the 'honeymoon' period is already over with letters and emails surfacing. Fingers crossed for a better governing body and people in it. We didn't have to wait for long, did we? Sigh! 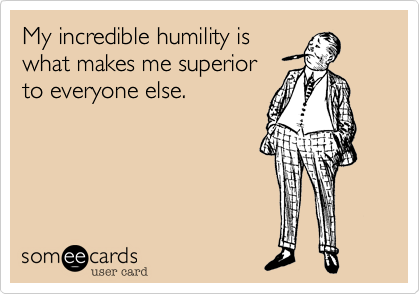 Sometimes humility can also be a veil hiding egocentricity. Guess, I am coming here very late and I am drooling over this post right now. Sums the landslide of our muffler man doling out variety and dharna days are past us. Let's wait and see how things move. Delhites certainly wanted change with the whole Ghaar Waapsi, attack on christian church and corruption.